Is this factual ? Is this possible ?..did we cover up booze? Did we save Gannon? 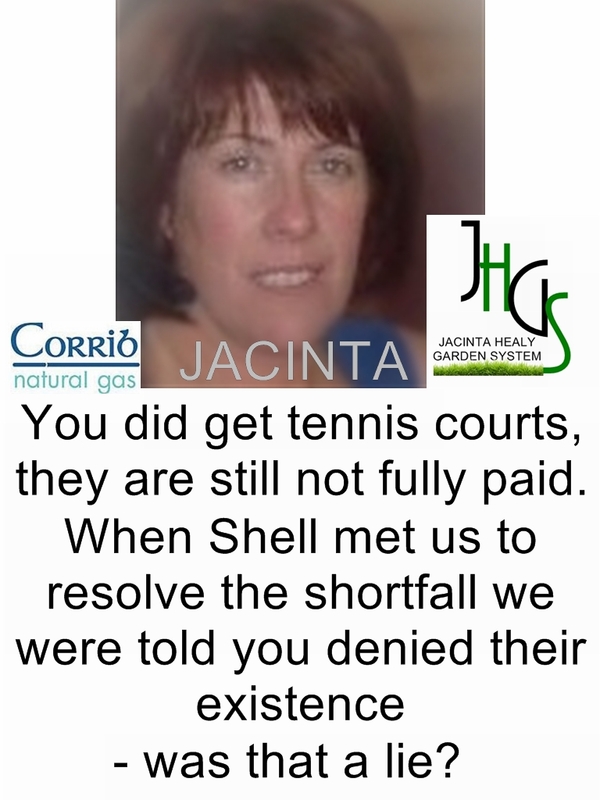 Mayo County Council like the Shell corruption in Mayo! did our Irish Director John Egan send booze to the Irish media? was it returned by the Irish media? is Egan still there? Why? did we pay employees children’s School fees? And gift employeestennis courts? did we spend 250k plus satisfying a Mayo Co Co officers demandsfor services for no operational reason? did we fly Ossls legal team to London (prepaid) to silence the booze for cops situation? previously agreed as a sort all document prepared by KPMG? did we offer to pay the police booze as hats gloves and boots? did CEO Crothers read out the minutes in Shell HQ in London? were both OSSL and Shell legal people present? is there a tape recording of a top Dublin Solicitor confirming the alcohol discussions? will an honest Shell person …..ask any of the above question? Michael Crothers the NEW CEO of Shell Canada. YOU lied – YOU stole – YOU destroyed lives, AND you know it…why? YOU asked for more YOU got more, double glazing – school fees – car engines – jobs!!!! HORKANS – tennis courts – fencing – gardeners – carpentry – CASH – barbecues!!!! …lots….lots…lots….more…AND YOU CALLED US CUNTS – AMAZING! Jacinta Healy of Mayo. Michael Crothers and Terry Nolan of Shell.